Kris Rosales is eager to deliver after being sidelined a year and a half. KRIS Rosales is making a big splash for Rain or Shine after 18 months out with an injury. Getting a big boost from Rosales and a handful of others, the Elastopainters have moved to the top pf the standings in the Philippine Cup. Rosales matched the team-high with 16 points as Rain or Shine topped erstwhile unbeaten Phoenix Pulse in overtime, 98-94, on Sunday. 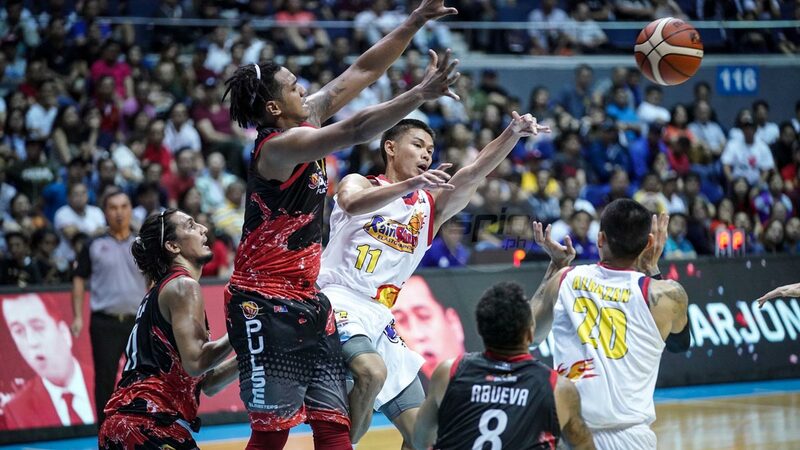 He is averaging 6.14 points and a 56 percent clip from behind the arc, impressive for a guy playing his first conference in the PBA after a year and a half sidelined. Drafted by Barako Bull in the second round of the 2015 PBA draft, Rosales only got to play in the PBA in 2016 with TNT. Rosales was later traded to Rain or Shine as part of the Jericho Cruz deal early last year. The 28-year-old Rosales, however, suffered a cartilage damage in his left knee and had to be operated twice. Even though it is now fully healed, Rosales said he is still working on that knee to make it stronger. “It wasn’t ACL. It was more complicated and got me out for 18 months. I’m still trying to keep it better,” Rosales said. Admittedly, he had thoughts of quitting the game. “I had two surgeries. I had one and it didn’t go well. When I got traded, they found out they needed another one. So that made it basically 18 months. Seven months and I found out I needed another surgery. Still, Rosales fought off those thoughts and was finally healthy last November. “I just started playing 5-on-5 last November. I gradually got better after the second surgery. I kept going to rehab. There was a point that I couldn’t shoot without pain and I just kept working gradually. My legs started to come back,” said Rosales. Rosales only got even better mentally after he was also re-signed by Rain or Shine before the start of the conference. “When I came to Rain or Shine, I didn’t know what’s going to happen. When I was hurt, they ended up re-signing me. It gave me a lot of confidence,” said Rosales. “I’m grateful to God. He kept me motivated and when I got back, I’m grateful to Rain or Shine management, coach Caloy (Garcia), all the coaches. They watched me rehab and saw something special and they re-signed me. It’s a blessing in disguise,” said Rosales.